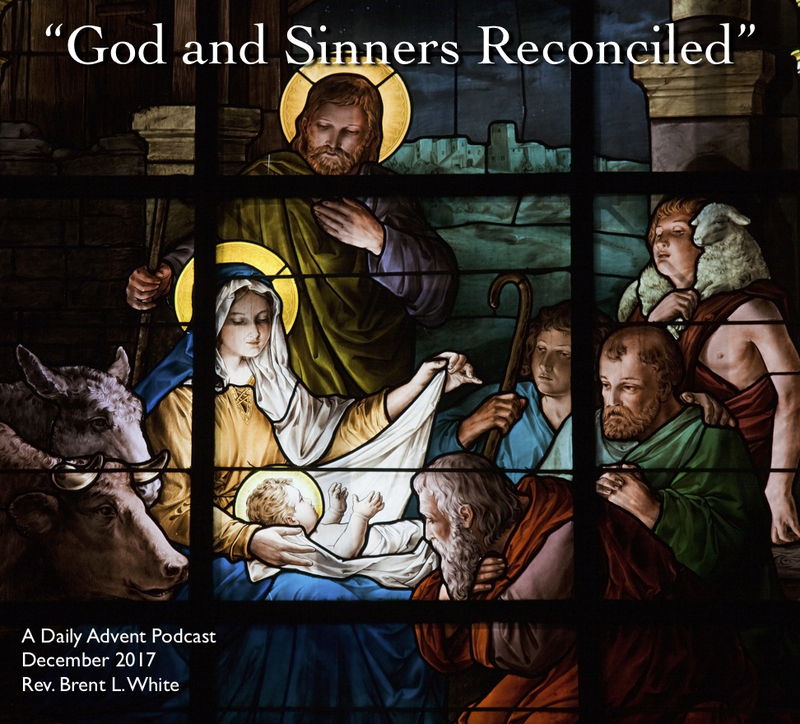 From the first day of Advent until Christmas Day, I’m podcasting a daily devotional. You can listen by clicking on the playhead below. My soul magnifies the Lord, and my spirit rejoices in God my Savior, or he has looked on the humble estate of his servant. For behold, from now on all generations will call me blessed; for he who is mighty has done great things for me, and holy is his name. I went to the Holy Land back in 2011. During the first leg of the trip, we stayed for a few nights in Tiberias, which is on the Sea of Galilee. There was a sign in the front lobby that said that the hotel featured something called “Sabbath elevators.” I had no idea what Sabbath elevators were. But I found out at sundown on Friday. I was on the sixth floor of the hotel, and I wanted to go down to the lobby. I pushed the call button on the elevator and after a long wait, the elevator doors finally opened. No one was in the elevator. I pressed the button marked “1.” The doors closed, and then the elevator stopped at the fifth floor—even though I hadn’t pushed that button. And there was no one there waiting for it. Then the elevator stopped at the fourth floor. No one was there. Then the third floor. No one was there. “What’s going on?” I thought. Then I figured out what “Sabbath elevators” are. If you are an orthodox Jew, and it’s the Sabbath, even pushing an elevator button is considered illegal “work.” Sabbath elevators enable people to ride the elevator without having to do “work.” You might have to wait a long time, but if you’re patient you’ll eventually get where you need to go. While I admire religious people whose commitment to God is so great that they would avoid even pushing a button if it risked breaking God’s commandment, my experience at that hotel gave me a greater appreciation for the gospel of Jesus Christ. Do you see the difference? The good news of the gospel is that Christ has done everything necessary in order for us to be accepted by God—including dying a God-forsaken death on the cross to pay the penalty for our disobedience that we were unable to pay. Therefore, salvation is a completely free gift offered without price—whose only condition is receiving this message through faith. If we are Christians, after all, that means before the foundation fo the world, God knew us, God elected us, God wanted us—you and me—to be with him for eternity, and God put into motion a plan that would make this intention possible. Who are we that God would do that for us? Who am I? What have I done to deserve all of this? Nothing! And yet that’s the gospel! I would go so far as to say that this perennial note of surprise is a mark of anyone who understands the essence of the Gospel. What is Christianity? If you think Christianity is mainly going to church, believing a certain creed, and living a certain kind of life, then there will be no note of wonder and surprise about the fact that you are a believer. If someone asks you, “Are you a Christian? you will say, “Of course I am! It’s hard work but I’m doing it. Why do you ask?” Christianity is, in this view something done by you—and so there’s no astonishment about being a Christian. However, if Christianity is something done for you, and to you, and in you, then there is a constant note of surprise and wonder. 1. Timothy Keller, Hidden Christmas (New York: Viking, 2016), 89. This entry was posted on	December 18, 2017 at 12:59 pm	and is filed under Uncategorized. I recognize your point here, and certainly Christ did everything necessary to “make salvation possible.” And, “I don’t deserve it.” The only trick is, from my way of looking at things, the “response” requirement. Jesus says, “If any man will be my disciple, he must deny himself, take up his cross, and follow me.” Of course, even if I were to do my best in that regard, it would not be enough to earn salvation, because “all have sinned, and come short of the glory of God.” But though my response is not “sufficient,” it is still “necessary” (to use the “logic” terminology). So, I’m just saying that in the midst of our amazement that God would do all he did for our salvation, and recognition of our own unworthiness, we not “skip over” the enormity of what God calls us to do in response. In essence, my view of the “consummation” of the salvation that God so graciously offers and pays for is a “my life for your life” exchange. God wants my life so much he gave his life to get it. I want God’s life so much that I am willing to give my life to get it. God did his part perfectly. I do my part in a stumbling and partial fashion. By grace, God both does his part without any compulsion and accepts my faltering response in return. But you can’t “get on the path” of the saved life without taking some baby steps along it. “Straight is the gate and narrow is the path that leads to salvation, and few there be who find it.” The response is necessary and I don’t think salvation is secured without our “doing something,” comparatively little, relatively speaking, as it may be. Tom knows that I, on the other hand, believe God chose me before I could ever choose Him. He put in me the longing that would drive me to seek and find Him. Yes, I am expected to make an effort, but the paradox is that my destiny is assured by His strong hand in reaching out for me. My “effort”, my response, is how He made me. And, I do not have to fear backsliding. I may grow weak at times, but He will not let me go. I find great peace in this assurance. Grant, we do understand each other’s position by now! 🙂 Spurgeon’s point is very compelling. I might note, however, that I am not saying I sought God before he sought me, or that I would have done so had he not. My point is my response to his calling and payment. As to that, we continue to see the matter differently; i.e., as to whether there is “something in me” that does that responding–as opposed to, as I would see it, God responding to God. I split the theological difference between the two of you, I think. There is nothing in us except our bare consent to be saved—and even that is impossible apart from a prior work of grace. By all means, good works are necessary for salvation in the sense that they bear witness to our new birth in Christ, apart from which we should rightly wonder if we’re saved at all. Even these good works, however, are empowered by the Spirit. To say more is “majoring in the minor,” as the three of us agree on the major stuff. I would say not “necessary for”, but rather “evidence of”, but then I might be “majoring in the minor”. Hope you all have a blessed Christmas. Grant, what I mean is, if we have been born again, good works will necessarily follow—if possible. If the thief on the cross, for example, could have come down from the cross, recovered from his injuries, and resumed a “normal” life, then he would have naturally borne fruit in keeping with repentance.